Is Tiger Woods Back To His Old Deadly Form? Tiger Woods who finished in a tie for fourth place in just concluded 2011 Masters at Augusta National has shown that he is back to recovery towards his old deadly form. The former top-ranked golfer, hasn’t won a title since returning from a five-month break after revelations of marital infidelity last year. But at the Masters, he made a strong run with four birdies and an eagle on the front nine of the final round before faltering on the back. A new swing and some renewed enthusiasm brought back the old Tiger Woods at last week’s Masters. 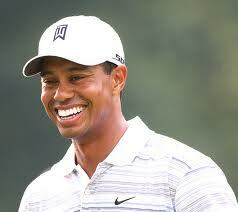 Woods credited swing coach Sean Foley, who started working with the American star at last year’s PGA Championship. Woods is back at work as soon the masters tournament was over, promoting the game of the golf and his sponsors in a trip to China. But while kicking off an Asian promotional tour, Woods told fans during an afternoon clinic that his putting was lacking, adding that his next goal is to fine-tune his short game. Woods’ off-the-course troubles don’t appear to have diminished his popularity in China. Hundreds of fans lined the fairway at the 18th hole of the course as Woods wrapped up his four-hole demonstration, cheering loudly when he made a good shot. Woods wore a wireless microphone so spectators could listen in as he plotted his strategy for each shot. Woods said he was impressed with the growth of golf in China, where the sport is booming, and has predicted Chinese golfers will break into the top 50 in the world.